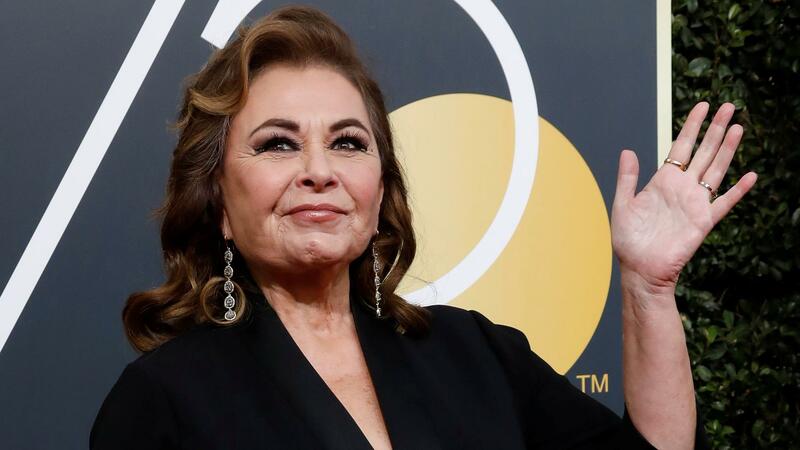 I would like to thank Roseanne Barr for her horrid tweet. Yes, I said THANK. Because she provided a wonderful learning moment. Hey kids, it’s all fun and games, until someone sabotages herself and hundreds of other people (who lost their jobs due to the cancellation of her hit show). Now Roseanne blamed Ambien, and Memorial Day (that was my favorite culprit of the “crime” at hand – yes, it was Memorial Day’s fault!). And we, as bystanders, blame her for the awful thing she did. But what are we all doing? PRACTICING JUDGEMENT & BIAS. Eww. So, why did she say what she did? Why did she sabotage a number one hit show? It wasn’t the Ambien, or Memorial Day. It was whatever she has lying in her “shadow”. It could have been her upbringing, a reflection of the culture she grew up in, the opinions of those around her (family, friends, school chums) that had those same views. As children, we just absorb this information, without really processing, and it lays in our “blind spots”. However, at some point it becomes time to take responsibility. And many (maybe most) people go their whole lives and never take responsibility. I really like this quote from Carl Jung, “I am not what happened to me, I am what I choose to become.” Roseanne can be rich, famous, adored by millions, but if she (or the rest of us judging her) don’t take the time and effort to look inside to see what is causing the results we are getting (in this case, the need to sabotage her show, by harsh public judgements of strangers), we will keep getting in our own way. And we will keep sabotaging ourselves and we’ll take others right down with us. One big sink hole. We all have an Ego and its function is to keep us safe. For example, what happens when we get scared, or feel unsafe (e.g. someone is following us on a dark street at night)? Our hearts race, we start thinking about escape routes, and we get an adrenaline rush. This is all to keep us safe, and alive. And, that’s the ego’s function. However, it doesn’t just stop with situations of immediate danger, like being attacked or escaping fires or disasters — the ego takes everything literally. For example, if you have a fear of public speaking….your physical body would react very much the same as the example about being followed on a dark street. Your heart races, you will look for a potential escape route (oh! Can’t someone else present this, PLEASE! ), and there is a rush of adrenaline. So back to our friend, Roseanne — let’s say (and I’m MAKING THIS UP) for instance, that Roseanne grew up in a household where it was frowned upon for women to be rich, famous, smart and powerful. And what if this was emphasized on a regular basis by her family and the culture she grew up in. The idea of achieving this would be living secretly in her “shadow” as a bad, bad thing. And then she tweets an inexplicable statement about Valerie Jarrett because Valerie is actually a strong, powerful woman… like whom? Like Roseanne Barr… AH HA moment!!!!! So what could have happened? The Shadow equates “Rich, Famous, Strong, Smart, Powerful Woman = BAD” so Ego (a.k.a Ambien & Memorial Day) causes racist tweet. The result, Roseanne’s Ego/Shadow combination that holds Rich, Famous, Strong, Smart, Powerful Woman, in the dungeon, now sabotages Roseanne and everyone else on the show. #Boom. Why? Because the result is now keeping Roseanne, safe, small and back in her childhood comfort zone (in my story here). Wow. Take that all in, because it’s BIG. Additionally, this is not the first “bad behavior” that has had a negative impact on her career. In 1990, she sang the “Star Spangled Banner” at a Nationally televised baseball game and then grabbed her crotch and spat. What an honor to sing the national anthem, only to be juxtaposed by extreme disrespect. Again, sabotaging a beautiful moment to be a smart, acclaimed woman. We all have behaviors that sabotage us. We just don’t realize it (or some might). Here’s a quick exercise you can try. Think of something, or someone, or a group of people that you have a bias against, anything – it doesn’t have to be cultural, it could be anything. Then think about how or why you came to this opinion. Don’t judge it, don’t stop having the bias. Just observe where the bias may have come from. And dwell on that for a bit. That’s all. You will start to see, how much of our bias thinking came from someone else’s bias thinking in the past. For example, I can’t stand cats. Yuk. When I think of where this came from well, my mother always disliked cats, and I associate cats with lonely women (“crazy, cat ladies”). Applying the same process as above… Subconsciously what is my fear, to cause me to hate cats? That I will end up a lonely lady with 12 cats. So this sits in my “shadow” and manifests itself in me as, “Get that cat away from me.” #Boom. Is this true? No. Lots of different kinds of people love cats. Could I be a cat lover some day? Maybe. I’m asking you to just be open to the possibility of changing the bias – no need to change it. Just say “maybe”. Because I’ll tell ya – I’m not about to go get a cat!! But just opening up the possibility helps me open up to the possibilities of the world, and leads me out of that sabotaging mindset. Thanks, Roseanne, and best of luck to you. I want for you what I want for everybody – I want to see you succeed and step into your own power.